Taurine, acetyl-L-carnitine, dandelion extract, hawthorne berry extract, bilberry extract, egg albumin, coenzyme Q10, (325 mg). Inactive Ingredients: Dried poultry liver flavor, glycerin, dried sweet whey, vitamin E supplement, vegetable gelatin, black malt extract. All Gray Muzzle-Ark Naturals products are natural, made in the USA in USDA/ APHIS registered facilities and are GMP (good manufacturing practices) compliant. Our ingredients are sourced from human facilities. Proud members of the NPA, APPA, NASC. Caution: For pet use only. 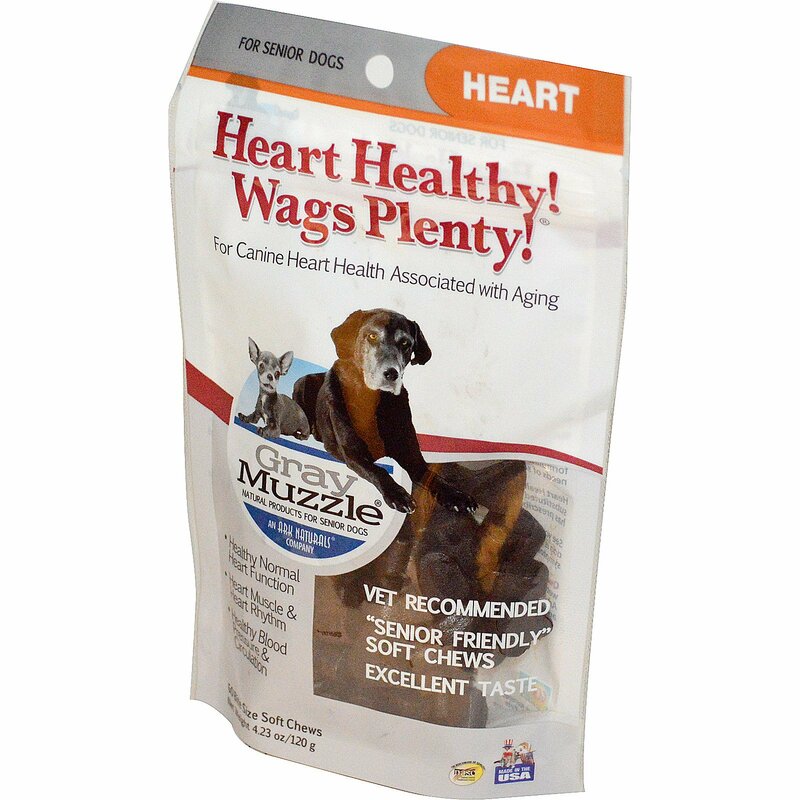 Specifically formulated to support heart health for the needs of senior dogs. Heart Healthy! Wags Plenty! should not substituted for Rx medications your vet has prescribed. 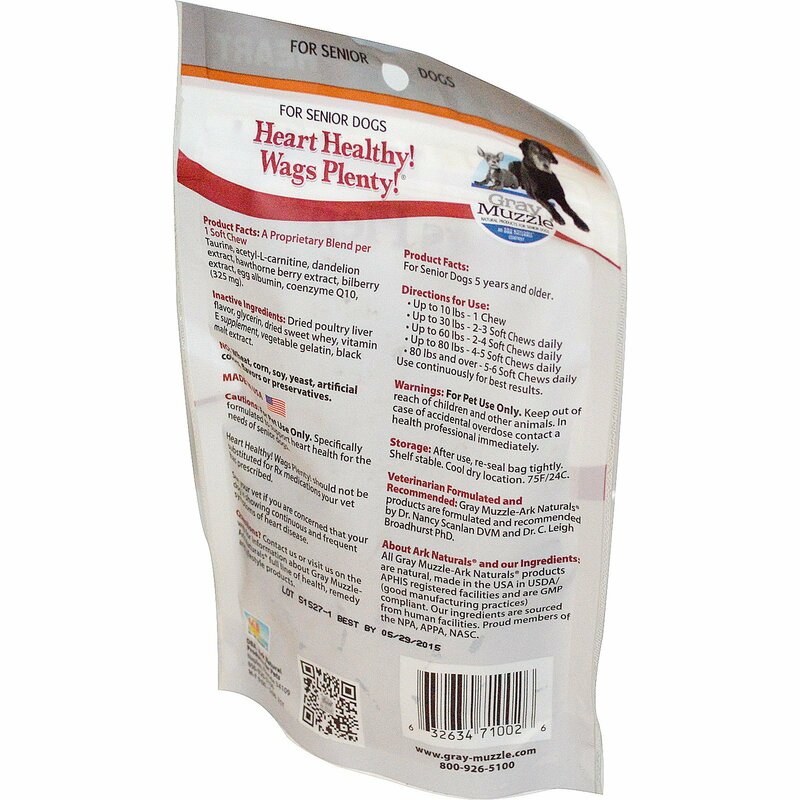 See your vet if you are concerned that your dog is showing continuous and frequent symptoms of heart disease.